Looking for deals in Rimini? Offering a large sea-view swimming pool, a free hot tub and free WiFi throughout, Hotel Aria is just 1312 feet from the sandy beach in Rimini. The front desk were extremely pleasant and helpful. The breakfast was brilliant! Just 820 feet from the beach, Erbavoglio Hotel is a 15-minute walk from the center of Rimini. This property offers a free outdoor hot tub and a wellness center, plus rooms with a balcony. Great hotel in a wonderful location close to the beach and centro storico, rooms were spacious and comfortable, great staff and underground parking! Rimini’s L'Hotel features modern rooms with free Wi-Fi and a 32" LED TV with Sky and international channels. This 3-star hotel is located 328 feet from the seafront in the Bellariva area. Very clean and nice hotel. Staff is very friendly. Breafast is very good -fresh orange juice is included (just ask for it ). And on the other side of the road is a very good restaurant. 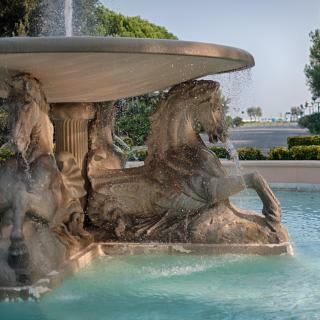 The 3-star Hotel Grifone is in the Bellariva area of Rimini, right on the seafront. It offers free Wi-Fi in public areas. All rooms have a spacious sea-view balcony. Staff at the reception is very friendly. Breakfast is very rich. Near beach. Sea view is wonderful. Comfortable and very CHEAP (10.05-13.05)! We liked it and we prolonged our vacation in this hotel. Grazie! Hotel Ramona offers rooms with free WiFi in Rimini, a 3-minute walk from the beach. Guests can enjoy the on-site bar. The rooms are fitted with a flat-screen TV, balcony and air conditioning. Staff extremly nice.. location is great. In the middle of action but peacuful at night. Parking options in order as well...breakfast excellent!!!!!! Featuring a 5th-floor spa and large outdoor hot tub with sea views, Hotel De Londres is on Rimini’s seafront. Rooms offer free Wi-Fi and a satellite TV, some have a balcony. The hotel was fabulous & clean & comfortable! Could not have wished for better. You & Me Beach Hotel is offering accommodations in Rimini. 4.1 miles from Marina Centro, the property is also 5 miles away from Rimini Fiera. Both private parking and free WiFi are accessible on site.... Nice new hotel, from the smiling, very welcoming and friendly staff to the wonderful breakfast. Offering free rental bike, Princier Fine Resort & SPA is located in Viserba. Free WiFi access is available throughout. Each room here will provide you with a flat-screen TV and air conditioning. From the moment we arrived a wonderful warm greeting that felt like we were staying with family. Just 328 feet from the beach in Rimini's Marina Centro, Hotel Polo offers simple rooms with flat-screen satellite TV and a balcony. Wi-Fi is free throughout, and parking is available at a charge. Really nice room with a balcony and view to the sea. Cozy, clean, such a amazing breakfast. 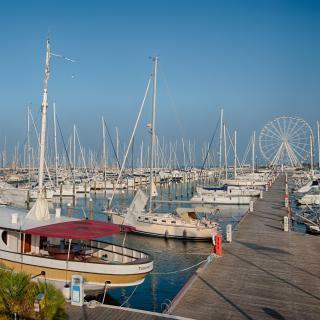 Located in Rimini’s Marina Centro area, the Club House Hotel is on the Lungomare Augusto Murri promenade. Fabulous staff from the moment we arrived to the day we left. Beautiful facility. Great location. Kursaal Hotel is a few steps from the sandy beach, right on Rimini's seafront. It features a traditional restaurant, private parking and air-conditioned rooms with a balcony. Wi-Fi is free throughout.... Great room! Double bed was very comfortable. Breakfast was amazing. The location is super! Just 5 minutes' walk from Rimini beach, this hotel offers bright rooms with an LCD TV and free Wi-Fi . Bike hire is free, and busses to Rimini Train Station stop right in front of the hotel. Great hotel, nice staff and facilities, great location near the beach and the town at the same time. The Hotel Corallo Rimini is located right in front of the sea and is approximately 1.2 mi from Rimini’s center and Railway Station. Rimini’s new fairground and airport are a 10-minute drive away. 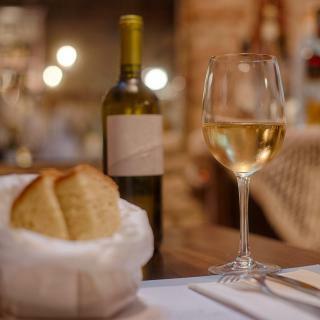 Just 5 minutes' drive from the Fiera di Rimini exhibition center, Hotel LaMorosa offers a restaurant, bar and rooms with free Wi-Fi. Lovely hotel , great breakfast & all the facilities you will need. The Hotel & Residence Cavalluccio Marino is an aparthotel offering air-conditioned accommodations right on the beach in the Torre Pedrera area of Rimini, 5 minutes' drive from the city's trade fair. The property is very good located (in front of the beach). Boasting a beachfront location in Rimini, Hotel Carnaby offers a bar, terrace and accommodations with a sea-view balcony. WiFi is free in all rooms. Great balcony. Excellent breakfast spread. Top rate staff. Villa Del Mare Exclusive Residence Hotel is located on the seaside in Rimini and features modern, finely decorated rooms and apartments. Free Wi-Fi is available. Pretty much everything I'd say. Hotel Sovrana is 328 feet from the beach, in the central area, and near Rimini's seaside promenade. The bar and reception are open 24 hours a day, and free WiFi is available throughout. Everything was great. The owner was the most wonderful person I have met in Italy so far. Set in the Marina Centro area of Rimini, Hotel Villa Rosa Riviera is located on the elegant seaside promenade. Friendly helpful staff, excellent breakfast and a great location. Facing the sea in Rimini's exclusive Marina Centro area, National Hotel offers a swimming pool, and a small and intimate rooftop spa. Ambienthotels Peru' is in the Marina Centro area of Rimini, just off the seaside promenade. It offers modern rooms with free Wi-Fi and DVD player. Friendly staff and always wanting to help whenever was needed. Set in Rimini, Hotel Venezia offers a garden, free bikes and a fitness center. It has rooms with a balcony, air conditioning and free WiFi. Each room here will provide you with a flat-screen TV. Which hotels in Rimini are good for couples? These hotels in Rimini are highly rated by couples: Hotel Madalù, Hotel Aurea, and Hotel Gioia. 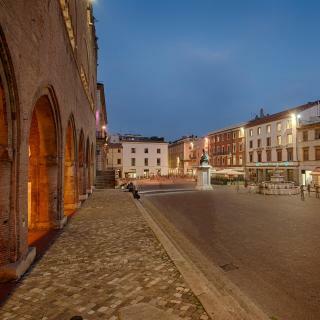 How much does it cost to stay in a hotel in Rimini? On average, 3-star hotels in Rimini cost £62 per night, and 4-star hotels in Rimini are £60 per night. If you're looking for something really special, a 5-star hotel in Rimini can be found for £188 per night, on average (based on Booking.com prices). Which hotels in Rimini offer an especially good breakfast? For hotels in Rimini that serve highly-rated breakfasts, try Hotel Stresa, Accademia Hotel, and Up Hotel. Which hotels in Rimini are good for families? Many families visiting Rimini loved staying at Hotel Madalù, Hotel Belvedere Spiaggia, and Up Hotel. 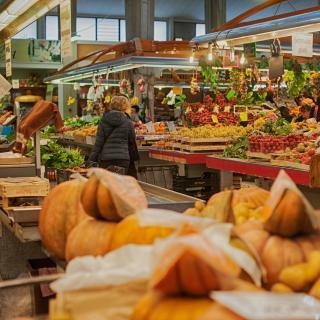 Which neighborhood is the best one to stay at in Rimini? 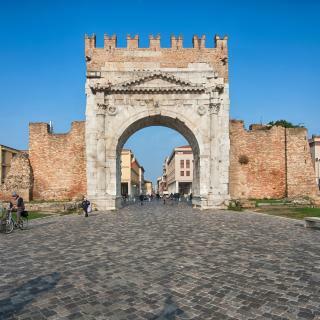 Centro Storico - Marina Centro - San Giuliano, Bellariva, and Viserba are popular with other travelers visiting Rimini. What are the best hotels in Rimini near Federico Fellini Airport? Travelers who stayed in Rimini near Federico Fellini Airport (RMI) have said good things about HOTEL CONDOR, Hotel Cannes, and Hotel Luna Rossa. Which hotels are the best ones to stay at in Rimini? Erbavoglio Hotel, Rimini Suite Hotel, and L'Hotel are some of the popular hotels in Rimini. How much is a hotel in Rimini for tonight? On average, it costs £58 per night to book a 3-star hotel in Rimini for tonight. You'll pay around £62 if you choose to stay in a 4-star hotel tonight, while a 5-star hotel in Rimini will cost around £146, on average (based on Booking.com prices). Which hotels in Rimini have nice views? Hotel Holiday Beach, Hotel Byron, and Hotel Madalù got great room view-related reviews from travelers in Rimini. How much is a hotel in Rimini for this weekend? The average price per night for a 3-star hotel in Rimini this weekend is £140 or, for a 4-star hotel, £184. Looking for something even fancier? 5-star hotels in Rimini for this weekend cost around £292 per night, on average (based on Booking.com prices). What are the best hotels in Rimini near Rimini/Miramare? Some of the best hotels in Rimini near Rimini/Miramare include Hotel Aurea, Up Hotel and Hotel Stresa. 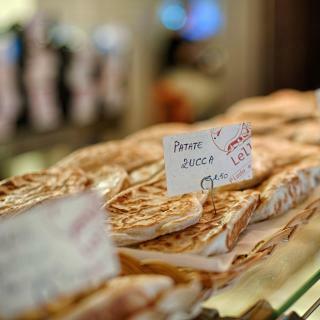 A longtime favorite destination for Italians, Rimini is all about the beach. And with almost 10 miles of sand, it’s easy to see why. It is said that there are 1,000 Rimini hotels, and while that might be a slight exaggeration, this Adriatic playground does have more than just sun, sand and glorious sea. The food is fantastic. Well, this is Italy after all. With some of the best nightlife in Italy, Rimini has a wealth of bars with dance floors, many by the beach, and the next door town of Riccione is a clubbing mecca. Family-orientated Rimini attractions include the dolphinarium and the Italy in Miniature and Fiabilandia theme parks. A few miles south of Rimini Miramare Airport is Oltremare, a zoo-turned-amusement park located next to Aquafan, a huge water park that becomes a nightclub with foam parties. For silence and shade, head to Borgo San Giuliano, an area of the town with pastel-painted houses and pedestrian streets. There are also remnants of the town’s Roman past to explore: Tiberius bridge, the Roman arch and the 3rd-century Surgeon’s House. The colonnades of the Old Fish Market make a pleasant spot for a drink before heading back to your Rimini apartment, hotel or B&B. See Booking.com for the best offers. This was an overnight trip for us. This was an overnight trip for us. The price was very good! There were no instructions in the room for wi-fi so we had to ask for that but the place is right on the beach. Parking on premises is noted but limited to a few cars. You will likely need to park in the street. Lots of shops and eateries in the area. Very neat town! The Princier Hotel and Spa was the best stay my wife and I ever had. The family that runs the hotel made you feel at home and took care of you from the second you arrived. Their service was the best I have seen and they are extremely kind and helpful. The room was amazing, we had the honeymoon suite, we a jacuzzi tub/shower and a hot tub outside on the balcony with views of the ocean. The room featured so many digital upgrades and the stay could not have been easier. I would recommend this as a must to visit. I like beaches and the weather - it was way warmer than at home. I did not like restaurants, we were at the best ones and ate bad. In the city there is not much to see, i expected more history rich city. After rimini we went to san marino. Rimini is off the overseas tourist track but has a lot of Italian tourists. It has amazing restaurants and things are reasonably priced. A lot of junk shops selling plastic Chinese items, but there is a mall if you want to go shopping. A great holiday destination. It is a nice city but the main attractions are the beach and the relaxed atmosphere. It is not the most culturally attractive but has good food. During summer it will get very crowded so try low season to better enjoy it. Everything is walksing distance in the city center and the beach is 20min stroll away. We ate “aperitivo” next to the old fish market and it was very good food, and ambiance. The property is in a very good location, walking distance from the beach and close to water park attractions. It is a very family friendly spot. We stayed with our 3 kids (1, 5 and 11). We enjoyed our trip so much that we decided to extend our stay. The manager Nico was very friendly, welcoming and accommodating. We had dinner at the hotel several nights and the chef did an amazing job with menu. The staff of the hotel were all very nice, helpful and friendly. Great value. Definitely coming back. The reception team was very professional, friendly and helpful,my check-in experience was good especially at late night. The Breakfast Buffet was good and there were a variety of food selections and restaurants team was welcoming and friendly and I love the view of the restaurant. the hotel location was good, near to the beach and there were restaurants around the hotel to go . the Train station was 10 minutes by car. it is definitely worth the money and I will come back there again. The staff was extremely friendly, helpful and fluent in English. Loved the view, the bathroom and room size. The large room, king size bed, great bath for an Italian hotel. Staff was excellent. Breakfast outstanding and was included. Most of all off season last minute booking and it was an unbelievable price with a view of the Adriatic! Would certainly stay again. I stayed here for a night. It was clean and comfortable, and the family running the hotel is really friendly! If you’re staying the night, I highly recommend going for the dinner buffet! For only 12€, you get a vegetable and seafood buffet, a starter course, a main entree, dessert, and drink of choice! A lovely hotel with a family feel. Really go extra to look after you during your stay. A nice beach and a sun lounger and umbrella on the beach for every room. Bus into rimini takes 20 mins but you have everything you need within walking distance of the hotel. Would love to go again. I had a great stay at hotel Bikini and at a very reasonable price including the best continental breakfast i have had in Italy. There is also a gluten-free option which may be of use. The staff were extremely helpful, and sorted out a very secure place for my bike (bicycle). All the staff were very friendly,and the receptionists very helpful no matter how small the request. Hotel right on the beach,and €10 A day for 2 beach beds and an umbrella good value. Also hotel right by the bus stops. Very kind staff. Very very very nice people! Clean ! Near beach ! Price was perfect ! I was first time here like first time in Italy but Rimini and this hotel was perfect place to spend more time ! I will be back ! I liked the the fact that Nord Est was clean, the staff cleaned our room every day. Everybody was friendly and attentive. If I go back to Rimini, I wouldn't even look at other hotels. I would book it again. Great location directly at the beach of Rimini, nice pool, very friendly staff. Room with seaview was nice, bathroom was clean. Breakfast offered many choices and was very delicious. 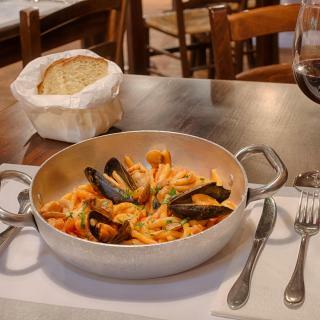 Very pleasant staf, seriously very good breakfast and very comfortable and nice breakfast room, hotel near the seaside, not far from Rimini historic central. The best breakfast I had in Italy. Close to the beach and bus station(~5 min walk), train station(~10 min). Super friendly staff. Fine location in North Rimini, near the beach. Private parking near the hotel. The hotel is on the beach. It is actually a 3 star hotel.